We brought you the official release of the McLaren 720s back in April live from the Marina Bay Sands in Singapore. 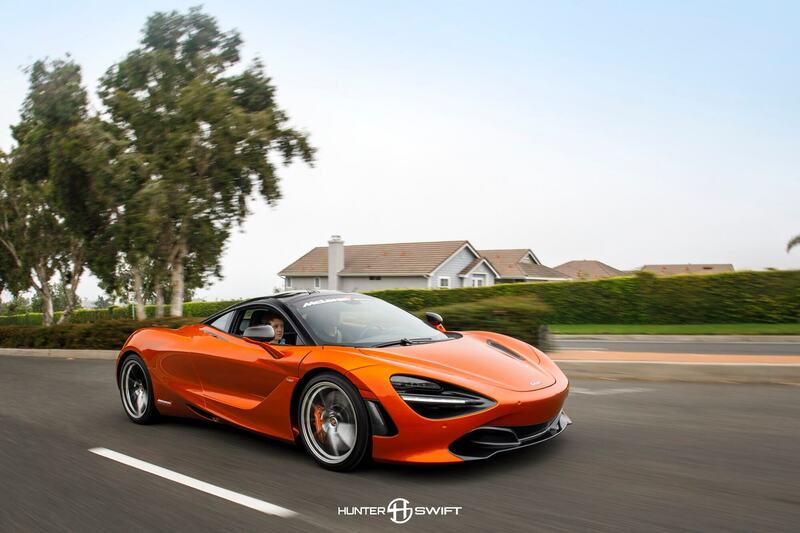 Two months later Cars247 Photographer Hunter Swift already has it snapped through his lens on a road in Southern California – two months before its ‘official’ release date. 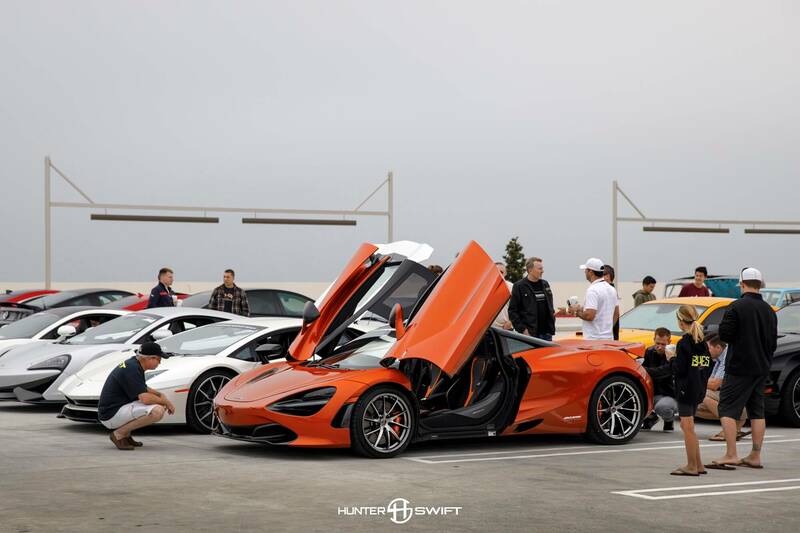 McLaren Newport Beach is the lucky recipient of one of the first McLaren 720s deliveries and they brought it to South Orange County Cars and Coffee in Southern California this weekend. 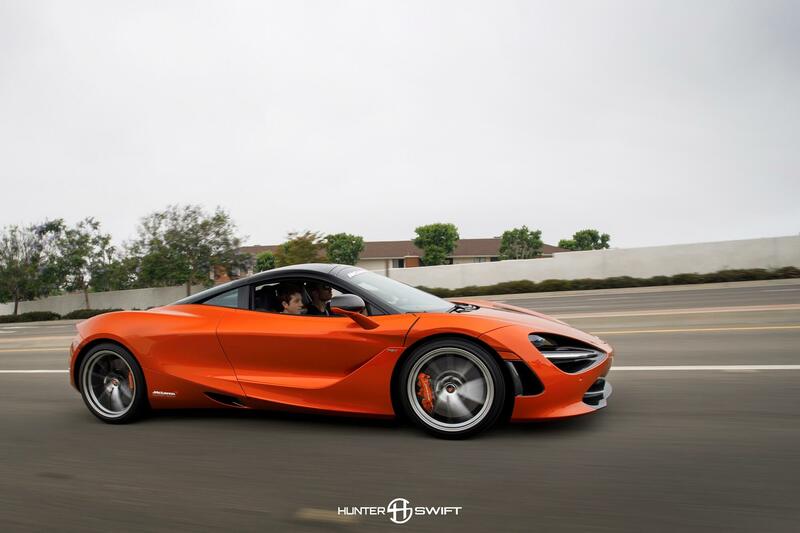 The first McLaren 720s cars to be shown to the public were test mules restricted to 20 MPH, this 720s is a full production car that will be the demo 720s for McLaren Newport Beach. With ‘official’ deliveries not due to take place until August this could well be the first production McLaren 720s. 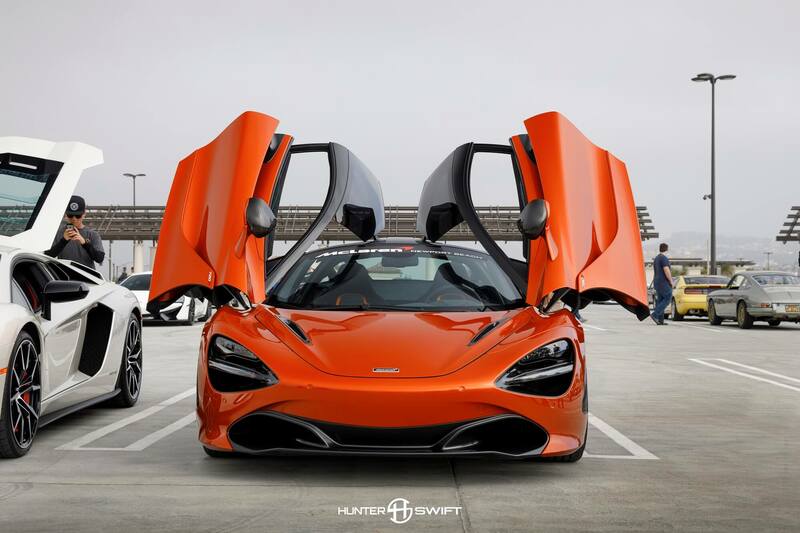 If you want the spec and info details head over to the 720s Launch here. 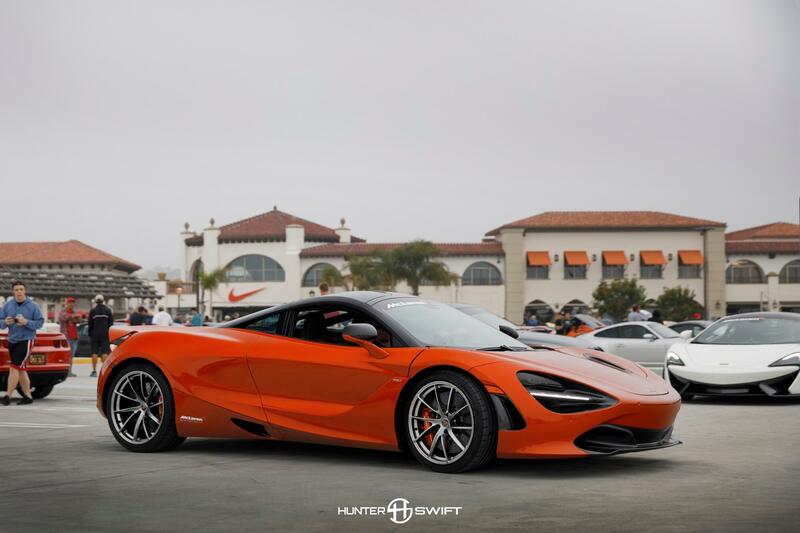 The base price for the 720s is around $280,000 / £220,000 and it is understood the spec on this particular 720s runs up to $340,000 / £265,000. 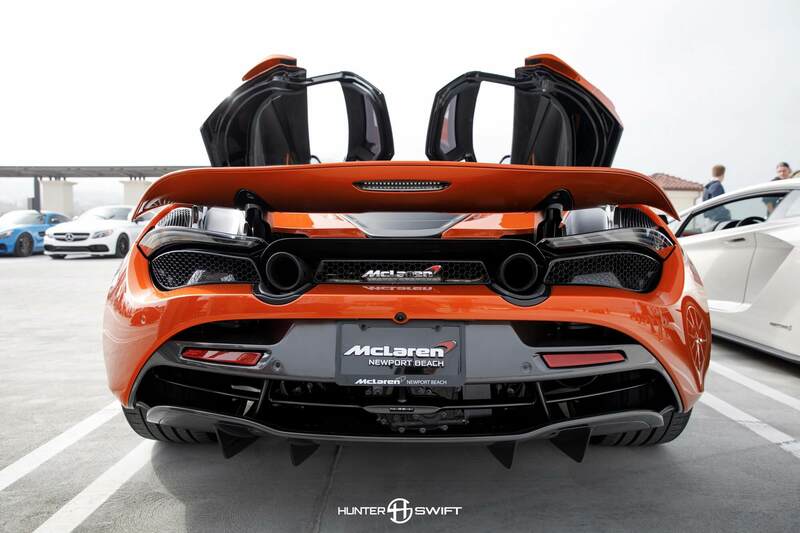 You would imagine McLaren Newport Beach will of spec’d their demo 720s to the limit. Meaning $340k is what you can expect to pay for a fully spec’d car. When we covered the McLaren 720s launch in Singapore we made a point that the styling let down the car. That ‘you surely have to question the mind of someone who buys a McLaren 720S over a Lamborghini Huracan Performante or a Ferrari 488 GTB’. Does that still stand now seeing it in the wild? Well it has helped, it doesn’t look as strange as it did at the launch – but it still looks awkward. A launch edition, limited to 400 units, has sold out already, while McLaren expects to sell a further 800 this year and 1500 per year from 2018 onwards so clearly there is an appetite for the McLaren 720s. Head over to the Cars247 Instagram and let us know what you think.